Sean Ellis first coined the term “growth hacker” in 2012, when he defined it as someone whose true north is growth. In reality, the concept has been around for over a decade, and growth hacking has contributed to the success of many great companies including Hotmail, Dropbox, and Spotify. As business continues to evolve however, a new strategy is emerging on the scene—growth marketing—a more mature version of growth hacking. The point here is simple—growth hacking was, is, and will always be a powerful tool to some degree. Many of the ideologies and concepts implemented by the most successful growth hackers in the world can be applied in some context to any marketing strategy. But how can we expect every company under the sun to operate with the same flexibility and speed as a Silicon Valley startup? We can’t. 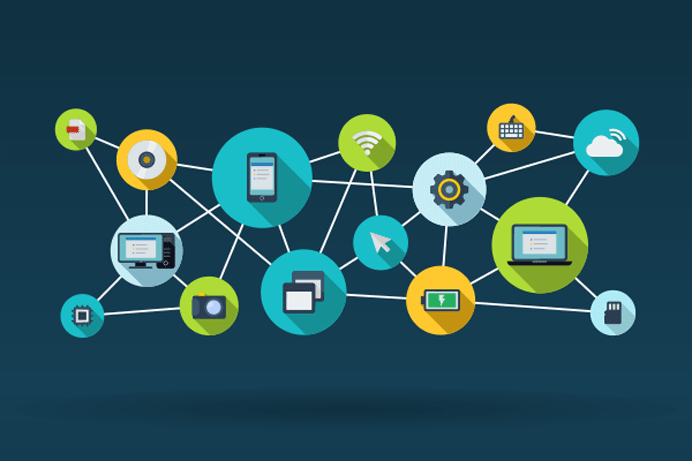 But before we explore growth marketing, let’s talk a little more about growth hacking. Most marketers have heard of growth hacking before. We often associate the concept with startups and SaaS companies, because marketers from these backgrounds were among the first to successfully initiate growth hacking strategies. Growth hackers are agile, growth-focused, and unafraid to take risks. They operate in small teams, and often with limited resources. The application of growth hacking was one of the earliest examples of marketers actually focusing their attention on the entirety of the sales funnel (Figure 1). Instead of considering only awareness and acquisition, they expanded their view to a funnel which also included retention, referral, and revenue. Growth hackers try to understand the entire life cycle of a customer—from start to finish—rather than just a few touch points along the way. They turn people into customers, customers into users, and users into evangelists. 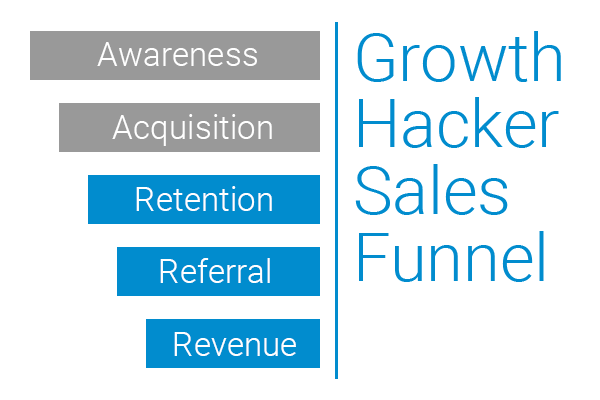 The best growth hackers understand how the sales cycle affects growth and revenue as a whole. It’s a different way of looking at marketing that focuses on scaling up quickly (yet efficiently), knowing your customers, learning from mistakes, and wasting as few resources as possible. Growth hacking is not without flaws, however. Bred from the tech-savvy SaaS world, most of the learning, case studies, analyses, and practices grew from that space. Because of this, growth hacking fails in many ways to recognize product, company, or sales cycle diversity. The SaaS business model is unique in many ways, and often times companies that aren’t quite so flexible are not able to successfully adopt a growth hacker approach. But the benefits and successes are too large to ignore, and thus, a hybrid is born. Growth marketing is often times described as “growth hacking grown up”, in which marketers use data and agility to scale revenue. It’s the amalgamation of growth hacking strategies and traditional marketing techniques to arrive at a conclusion that—for many companies—is truly the best of both worlds. While scrappy, disruptive growth hacking has its place in certain situations; growth marketing applies to a much larger set of companies, in a much larger set of situations. Growth marketers are driven by revenue. It’s not simply just about growth anymore, because we can always grow. The real challenge is ensuring that growth is headed in the right direction—meaning optimal profitability—and that it is achieved with as little waste as possible. Growth marketers seek to understand revenue attribution, particularly through lower-funnel metrics. Campaigns and sources are optimized to track customer lifetime value, opportunities closed, and total revenue generated. And, growth marketers pursue the power and profitability inherent in retention, cross sell, upsell, and referrals. Agility is also an important characteristic. It creates velocity and prevents stagnant or complacent growth. Teams should be prepared to fail fast and iterate faster. Although growth marketing is highly calculated and data-driven, the best teams aren’t afraid to take risks. They try new things, use data to capture success or failure quickly, and adjust accordingly. The best growth marketing usually isn’t one single success. Rather it’s a series of small successes (and failures) that lead to a continuously improving growth machine. For most companies, growth marketing is the way of the future. As campaigns continue to shift more towards digital, it’s easier for marketers to track and monitor every move. Designing strategies around lower-funnel metrics, and constantly being ready to iterate and improve will deliver clarity around attribution sources and fuel revenue growth. For decades marketers have been guessing about where to invest their marketing dollars. Those days are over. With a well thought out growth marketing strategy, we can now use real time data to prove which efforts are working and which are not.